The Cork Mother Jones Committee, wish to nominate Mother Jones as being a suitable and appropriate name for the new bridge. The bridge links the Island of the City to the north side. Mary Harris was born and baptised in the Shandon area on the north side of Cork City less than a mile away and it would be entirely appropriate that the new entrance to the Northern Quarter of the City would display the name of her most famous daughter. She was a rebel in the true and best sense of the word and again it would be appropriate to highlight to the world that her roots were in Cork as the city is known the world over as the “Rebel City”. As a person who had to leave Ireland just after the Great Famine (her father left in 1847), she is representative of the millions of anonymous emigrants forming the current diaspora who had to depart Ireland seeking a better life. Many of these like Mary Harris left through the local City Quays on their way to Cobh. Her name on a bridge on those very quays would have a certain symmetry to the suffering and fear endured by those emigrants. They began their journey not far from Patricks Quay and it would celebrate the lives of those ancestors of ours. Mary fought for basic social justice and labour rights for hundreds of thousands of poor, oppressed and exploited, many of which were Irish. The Irish have always done our best to help people where ever we have travelled. From missionaries to politics to those active in the labour movement and even the thousands of convicts transported from Spike Island we have tried to bring justice and fairness wherever we have gone. Mother Jones in many ways can represent them also. We are immensely proud of these people and we should display it publicly. She is known to millions of people across America and if the bridge was named in her honour it would provide a focus point for many Americans to come and visit this city, the city of her birth. She was named by the Observer newspaper in 2015 alongside Mahatma Gandhi, Ernesto Guevara, Zapata and James Connolly as among the ten revolutionary people in history who inspired social change. Just imagine if Cork city was the birthplace of someone compared to Gandhi and deemed as important as him by one of the oldest and most respected newspapers in the world. It was and yet we forgot her. Her name on a bridge will bring an international perspective and recognition to the city as a place which does not forget its native daughters. She represents not just the international labour movement but people fighting for justice everywhere and her extraordinary courage was widely praised even by her enemies at the time. Even if one does not agree with her, she did earn respect and is entitled to it. She was resilient, brave and fearless, a woman who amazingly operated in a man’s world at the time. These personal attributes make her an ideal candidate for this city to finally acknowledge her properly as a woman whose time has come and whose work for ordinary working people and children should be honoured by Cork city. Her resilience is symbolic of the resilient spirit of the people of this proud city. She represents a symbol of hope and optimism for older people anywhere…..her activist career began when she was nearly 60 years old, an age when we are normally expected to retire. Her life shows what elderly people can achieve. She remained active until her late 80s. There are stories from West Virginia and Appalachians of her picture being hung on the walls of houses for decades after her passing. Mary Harris was born in Cork in 1837 and was baptised at the North Cathedral. The actual baptism font remains in use. Although born in humble circumstances, she went on to become known as “the most dangerous woman in America” and is certainly the most famous Cork/ Irish woman in America. Mary along with her family lived through the Great Famine in Cork and all had left Ireland by 1852 to travel on the coffin ships to Canada. She became a seamstress and qualified as a teacher and went to work in the United States. Mary married George Jones and they had four children. Unfortunately her husband and four children died in the yellow fever epidemic in Memphis in 1867 and she was left destitute as a young widow at the age of 30. She established herself as a dress maker but her business was burned down in the great fire of Chicago in 1871. Little is known about her until the late 90s when she became active in the growing trade union movement. She was by then about 60 year old, worked as an organiser for the United Mine Workers of America for several years and had become known as Mother Jones. In 1903 she organised the March of the Mill Children to highlight the abuse and exploitation of children in the mines and mills of the USA. She became a good friend of James Connolly during his time in America and worked for social justice. She knew four American presidents and it is estimated there were about 3000 newspaper reports about her work. She took part in all of the serious industrial/union disputes across the United States over the next two decades where she had become a legend to the ordinary people seeking justice and fair play. She wrote her autobiography in 1924, in which the opening lines are “I was born in the city of Cork, Ireland”. Mother Jones eventually passed away in 1930. About 50,000 people attended her funeral which was broadcast live on a radio station. Another 40,000 turned up in 1936 for the dedication of the huge memorial on her grave in Mount Olive Cemetery in Illinois. Mary Harris was a poor working class girl from Cork who went on to overcome adversity and personal tragedy in her life to become a legend to millions of people. She represents the true rebel spirit of the people of this city and county and fought for the exploited and oppressed. As a woman in a largely male world of trade unions and mining she became an inspiration hero to women everywhere and remains a potent symbol of the power of women. Her actions are celebrated in dozens of songs from Gene Autry, Andy Irvine, and Nimrod Workman to Gretchen Peters. “She’ll be Coming Round the Mountain…..when she comes…… is a folk song that was likely riffed off a Mother Jones tale. A recent CD compilation of songs from the Mother Jones Heritage Project featured over 30 songs relating to Mother Jones. Several plays have been written including Can’t Scare Me…..The Story of Mother Jones by Ms Kaiulani Lee performed in Cork in 2015. A new musical has been written and performed by Si Kahn. 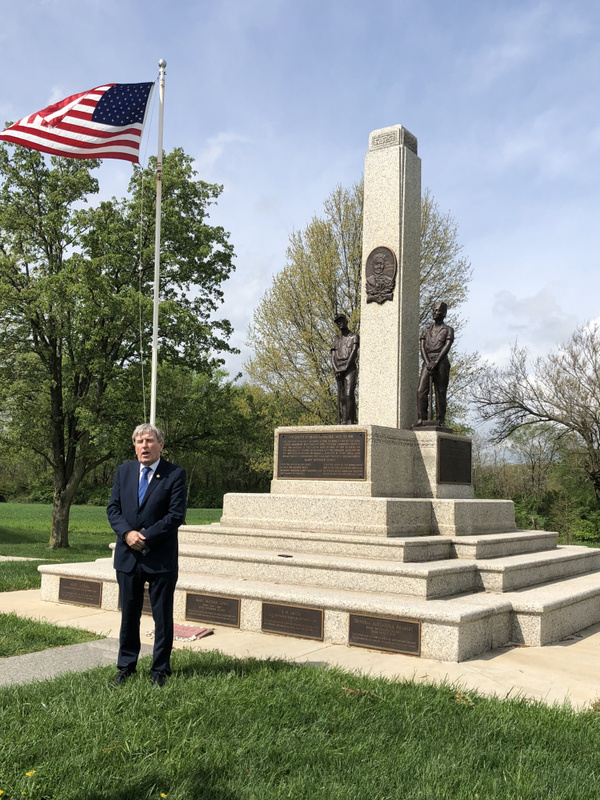 The Irish Ambassador to the US, Mr Dan Mulhall visited her grave monument in Illinois earlier this year to acknowledge her importance. The Mother Jones Foundation holds an annual dinner in her honour each year. She was inducted into the Irish/American Hall of Fame in 2014. She features widely in US literature and in 2010, the US Department of Labour issued a poster featuring Mother Jones. The author Elliott J Gorn published the story of her life in 2002 (See Mother Jones ….The Most Dangerous Woman in America by Hill and Wang). There are about 20 books written about Mother Jones in the USA, the most recent by Professor Simon Cordery in 2010. (who attended the 2014 festival). The largest circulating and respected investigative magazine in America, founded in 1976 in San Francisco is named simply Mother Jones in her honour. our efforts, due to the huge publicity created around festival time. 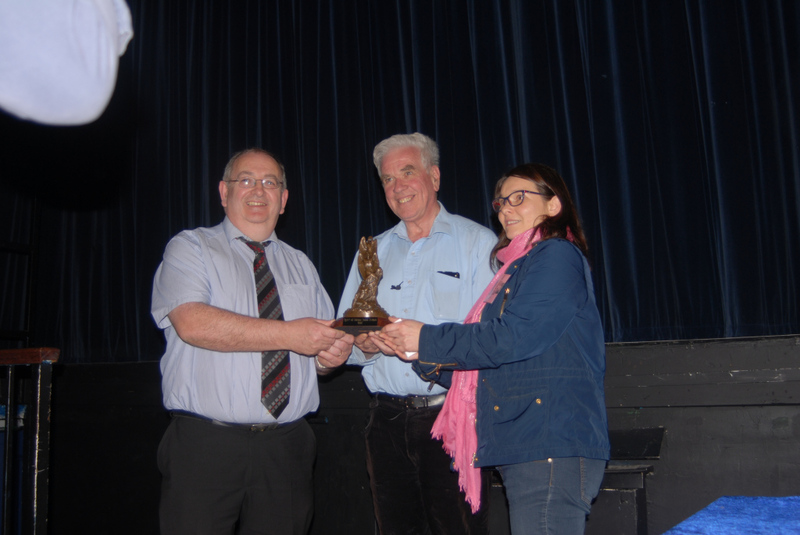 This committee also coordinates the very successful “Spirit of Mother Jones festival and summer school” each August which attracts large crowds from all over the world and has featured speakers such as Gareth Peirce, Margaret Aspinall, Professor Rosemary Feurer, Fr Peter McVerry and a host of others. 2019 will be the 8th Festival. The Cork Mother Jones Committee along with Frameworks Films have documented the life of Mother Jones in a documentary “Mother Jones and Her Children”. We will forward a copy and ask you all to view it as part of your consideration of our submission. 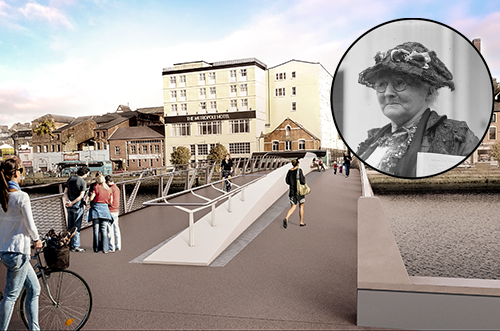 We believe the future tourism potential for Cork city by a bridge being named after Mother Jones would be significant if it was marketed internationally especially to people interested in history and heritage. Her story is the ultimate story of human triumph by a woman over personal disaster. She would be an appropriate symbol for the city as it is an incredible story of achievement and endeavour over her long life and which resounds among people everywhere in the world. Many people can relate to her personal story. Unique Opportunity to put Cork on the International Map. 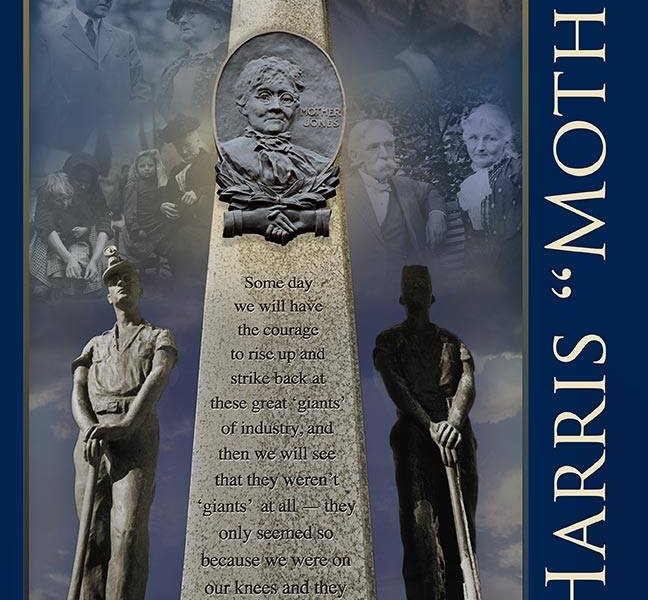 We believe the City Council has an extraordinary opportunity to remember Mother Jones for posterity by finally honouring our native daughter Mary Harris. Having ignored her in this City for many years, she is finally achieving the recognition long overdue. As a woman, who fought for justice in spite of her age and personal tragedy, as a member of the famine generation who was an emigrant and as a member of the huge Irish diaspora she brought fame to the Irish race and to her native City. She was a true Cork rebel and her City should seek to ensure she is remembered. Her growing popularity….. …with plans for a museum and statues and even a film in the United States would enable this city not alone to acknowledge publicly her achievements but would put the City of Cork in a favourable light among people interested in history, heritage, social issues and culture everywhere who might visit the city of her birth in the coming years. Mother Jones was born nearby, walked those City quays when a young girl, probably said goodbye to her father and brother on those very quays and later herself left the same quays to emigrate to Canada when she began her journey to a new life, like so many millions of emigrants today. If the purpose of a bridge is to help people to achieve their journeys, then let this bridge represent symbolically the journey of a young terrified girl who left Cork city, which had been a miserable place during the Famine years for the poor, and began her journey to a new life. She lived an extraordinary life, a life that gave hope to millions and surely that should finally reflect back to the City of her birth. She never forgot her life in Cork and there are resonances of the famine in Cork with its death carts in the streets when she later speaks about the loss of her four children and beloved husband in the yellow fever epidemic in 1867. One can only imagine the horror for Mary Jones as a mother and a wife of the terrors of the famine repeating itself! It would be somehow appropriate to welcome her home at last! This is a perfect opportunity to honour and remember all of these people in perpetuity in Cork City. We ask that you include Mother Jones for serious consideration when you decide to name this new bridge and decide to call it ………The Mother Jones Bridge.